Yesterday I woke up and the first message I saw was from an airline to congratulate me on reaching “the elite status of being a 4 million miler.” A look in the mirror confirmed that and told me I had been on life’s journey a while. It’s amazing, isn’t it, when you look back and see the protection of God over a lifetime? The longer I live, the more convinced I am that nothing happens under God’s sovereign will without a purpose. 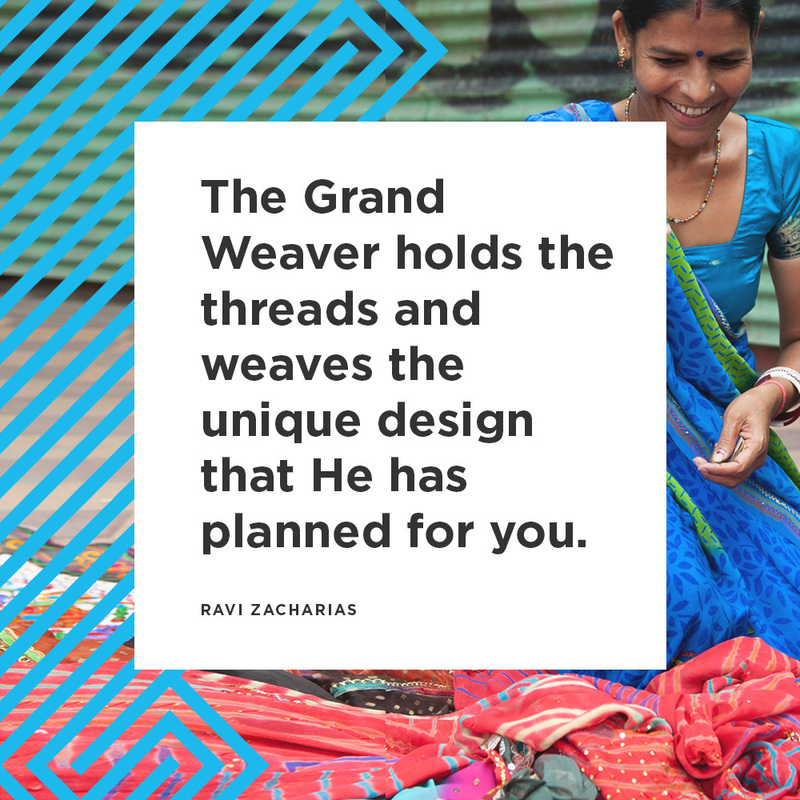 The Grand Weaver holds the threads and weaves the unique design that He has planned for you. The most important truth is to keep “looking unto Him, the author and finisher of our faith” (Hebrews 12:2). Distractions abound. Keep looking unto Him. Debilitations come. Keep looking unto Him. Questions attend. Keep looking unto Him. So many different forks in the road; remember your destination. Most important, remember God is the giver of every good and perfect gift. So at this Thanksgiving season, remember to thank Him for the privilege of life and the opportunities He provides. I look back upon my own life and find there is far too much to be thankful for to be distracted by any downside to life. I am so thankful for the salvation into which He brought me. Life was empty and purposeless before that. Now, every joy is multiplied and every sorrow minimized. All because of Jesus. As I see the context in which we live, the world of politics and public debate is at an all-time low. Toxicity has become the norm and courtesy the exception. Good people walk away from this thing we call “public service.” The mood in America is not anything to boast about. We resemble nations that we once looked at askance. But then I look inside and I see what God has done in my own heart and his peace through even these turbulent times. One thing I have done is to turn off the news. I have done so because it’s not really the news. Its views are colored by a disdain for anyone that the presenter doesn’t agree with. So my day doesn’t get polluted with bitter disagreements. What then should we do? We remain focused on all the brighter possibilities of blessing. God has blessed me with a family I love dearly, all of whom are with me in ministry. Considering my life of travel, it’s such a joy to have them beside me in my calling. Then there are my friends from all over the world. Scores of them. What a delight to have the multiplicity of races and accents and backgrounds to call me “Ravi” and know of their love. The blessing of my colleagues and board. We have a very close team. Through thick and thin, we have shared a beautiful friendship. One of the things that I am thankful for is the choices God gives me every day. What an array with which to glorify God! F.W. Boreham, the English essayist, has an essay entitled, “That Blessed Word ‘Which.’” He talks about a man that had become an alcoholic, and in that dissipated lifestyle, squandered away so much ‘til the Hound of Heaven tracked him down and changed his life. One evening, he and his wife were to go out for dinner with friends. His wife suggested that because of the occasion, he should wear a suit. He paused and asked, “Which suit shall I wear?” No sooner had he said that when a sobering silence came over him. He realized how much God had given back to him. In the days of his dissolute living, he had squandered everything for his addictions. Now that his life was rebuilt by the grace of God, he even had a choice of which suit to wear. Ah! The blessed word “which.” That to me says more than anything of what God does. He changes our lives to give us a splendid array of good possibilities.So as we celebrate this Thanksgiving, let’s get our eyes off all the grim stuff. The one thing we can always be sure of is the depravity of the human heart. That’s what makes the beauty of the gospel so fantastic. He transforms the heart to celebrate the good things in life. That takes us beyond happiness for the moment, to the ever-present posture of true joy. On this trip, I have meetings in the UK, India, and Hawaii. Yes, I will be adding to the four million miles. Which will I enjoy the most? All are a delight. But the joy of returning home for Thanksgiving gives me the thrill of wondering which choice the grandchildren will make: to speak their grace or to sing it? That sweet expression of the soul will precede the delights of the palate—another array of choices. A year ago at Christmas the oldest, who was six then, led in devotions and then fielded questions. Apologetics is in their blood, and they know God has the answers. Who knows what joys await us this year. Thanks be to God. 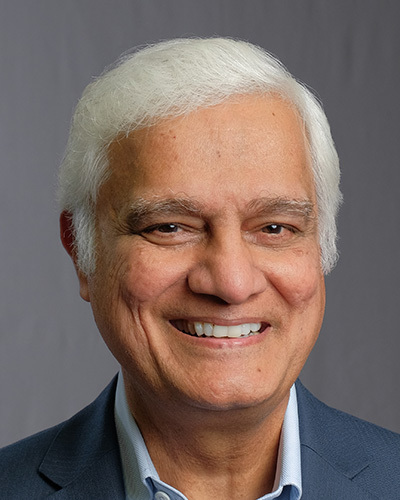 Salvation and the family—both are great gifts of God. All of us can have at least one and in an extended sense, both. We don’t need to travel four million miles to find that. Happy Thanksgiving to all of you. Let’s look unto Jesus. He alone can fill the heart with joy that makes thanksgiving an everyday posture of the heart.